It was flagged as urgent; to be taken up immediately by the Health Minister and Executive after the elections in May, but almost six months on, there has been no movement on Northern Ireland’s dementia strategy. But Edwin Poots is due to make an announcement on the subject in a matter of weeks, just in time to coincide with the much-anticipated Alzheimer’s Society benefit concert taking place at the Ulster Hall in early November. With the Executive’s budget under more pressure than ever, campaigners fear that the Minister’s plan may not create the framework needed to support Northern Ireland’s ageing population as it swells in the years ahead. Meanwhile delays in setting up support services are having an impact across Northern Ireland, for sufferers and their families alike, both in terms of their health and their finances. The department has been mulling the way forward for over two years now, but the critical question will be what money and resources will be available to make Poots’ vision a reality. The Bamford Action Plan 2009-2010, was published in October 2009, it included a commitment to develop a dementia services strategy. A draft dementia strategy, “Improving Dementia Services in Northern Ireland – A Regional Strategy”, was issued for formal consultation in May 2010. By August 2010 the Alzheimer’s Society had responded to the draft and presented a number of key issues on how the strategy might be strengthened. It is concerned that the draft was too focused on the views of professionals and needed a greater focus on the actual experience of people with a diagnosis and their families. In the consultation document the department outlined plans to establish a jointly-led group to oversee the strategy. This is yet to be implemented. We sent a Freedom of Information request to the Department of Health asking for documents relating to any meetings in the lead up to the draft dementia strategy. As part of this we received the minutes of meetings for the “Steering group” and “Project Team”, both involved in the development of the strategy over the period of two years. The Steering group was made up of DHSSPS personnel, Trust and community and voluntary sector representatives as well as a person with dementia and a carer. Its job was to ensure Dementia Strategy Project progressed as outlined, completed various stages on target and submitted it for scrutiny on deadline. The Project group was again made up of staff from DHSSPS, Trusts, Health professionals and community and voluntary sector organisations with particular interest in dementia. The groups met 11 times between November 2008 and December 2010. The project Team meetings repeatedly made reference to the Alzheimer’s Society’s “Listening Well Report” and it was decided that any strategy should include the key themes that the report identified. They also noted that the exact figures on the money spent on dementia would be difficult to obtain due to the fact that many services are funded from different budgets and many older people with dementia have multiple health and care needs that would have to be taken into account for any overall figure. Until November 2009, halfway through the series of meetings for the Project Team – a year after the first meeting had taken place – members for the Belfast and Southern trusts had not attended a single meeting.. The Steering group met a total of five times between November 2008 and December 2010. During this period members acknowledged that the projected costs showed that there were still deficits in the draft budget for the implementation of the strategy. They also noted that after the consultation process was finished it would be sent to the Minister in early 2011 for clearance to publish. When we tried to find out the total cost of developing the strategy, the Department of Health told us that approximately £50k had been spent, but this did not include the costs of the Steering Group and Project Team members’ time. With approximately 25 members on the project team and a further 30 members on the Steering group, as well as another two people outside Northern Ireland who worked on external quality insurance on the draft strategy, the department’s figure is a significant under-representation of the true cost. However, with the final strategy yet to be published, the Alzheimer’s Society as well as the 19,000, people who are believed to have the illness in Northern Ireland, as well as their families, have been left in limbo. The most up-to-date version released for consultation is available on the Department’s website . The Detail can reveal that in August of this year the Alzheimer’s Society wrote to Edwin Poots making the case for the implementation of the strategy. In the letter they outlined the importance of the strategy in addressing critical issues such as early intervention and support for carers. They stressed that they were anxious to hear what plans the minister had to implement the strategy. New research by Queen’s University and the University of Ulster has shown that forty-five per cent of adults in Northern Ireland now know someone with dementia, and almost half of us believe that people with dementia are not treated like thinking human beings. More than 1,200 adults took part in the 2010 Northern Ireland Life and Times (NILT) Survey which aimed to explore attitudes and knowledge of dementia here. With approximately 19,000 people living with dementia in Northern Ireland, this number is estimated to be 60,000 by 2051 which is the fastest expected rate of increase in the UK. As momentum behind the Alzheimer’s Societies campaign continues to gather steam, Chair of the Health Committee, Michelle Gildernew, has called on the Department to take action. “All you have to do is look at the positive affect it could have on our health service. Take Enniskillen’s new acute hospital. I have been speaking to Elaine Way, the Chief executive of the Western Trust and we have been having a number of conversations around how it is essential for the staff in the new Erne Hospital to have proper training in dementia care. “If you’re in a surgical ward and someone comes in with a broken hip with dementia, the staff needs to know the best way to approach the patient and how to best handle the situation. Staff may not be dealing with patients with the condition all the time, none the less; they need to have this knowledge and training at their disposal." Ms Gildernew stressed the need for greater awareness and an urgency for addressing the problems that people with dementia are facing everyday. “We need to send a very clear message that we are preparing for the future, not just in the west, but health professionals across Northern Ireland, to deal with people whether it’s carers, patients or family members, in the most professional and efficient way possible. DEMENTIA – A DIRTY WORD? Dementia mostly affects people over 65 years of age, but it is not a normal part of ageing. It is caused by chemical and structural changes in the brain resulting from diseases like Alzheimer’s, which is the most common form of dementia. A progressive disease that affects the parts of the brain that control memory, concentration and learning, sufferers find themselves increasingly reliant on others. 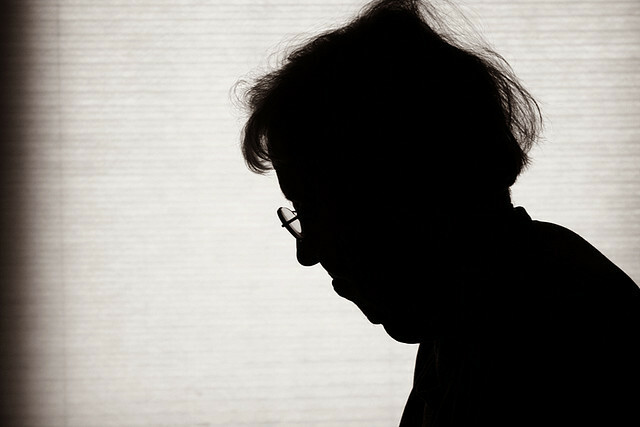 Northern Ireland has the fastest growing elderly population in the UK and so more people are being affected than ever before. For Brendan Lavery from Antrim, the first symptoms began to manifest during what should have been one of the happiest days of his life; his son’s wedding. Brendan had always been a confident public speaker, but when it came to giving his speech at the reception, Brendan’s daughter Katrina knew something wasn’t right. She said: “Daddy got up to make a speech and more or less couldn’t speak, and it wasn’t like he was overcome with emotion, it just was a bit too much, a loss of confidence. Brendan was diagnosed with Alzheimer’s four years ago when he was only 59. Katrina has found it hard to watch the role reversal between Brendan and his wife Agnes, who is now his primary carer. “Before Daddy was diagnosed he always wore the trousers in the house, but now he relies on her so much in absolutely everything. When it comes down to where they’re going, how long everything takes sometimes what he’s wearing- it all comes from my mum. “It does me make you feel guilty that you never thought of other people with dementia before having the illness within your own family. Obviously it has been difficult to see daddy going downhill, but he’s still the same person to us. He still makes the same stupid jokes, but I just see that he needs care and we just take every day as it comes and don’t think too much into the future." A core message of the proposed dementia strategy revolves around the importance of early diagnosis. This process can have a profound effect on the person with the illness; impairing memory, thinking and communication skills and gradually a person’s ability to undertake ordinary everyday tasks like washing and dressing. Though it affects a person’s capacity to make decisions and to communicate and ultimately to live entirely independently, the Alzheimer’s Society are keen to stress that a person with dementia can live well from diagnosis to end of life, if they have the right treatment, care and support. Mary Durdward from Ballyclare has been living with dementia for six years now, her diagnosis brought on a very difficult time in her life. She said: “I denied everything and got quite stroppy and that’s not in my nature, I didn’t like anybody and anybody who said the word Alzheimer’s was no friend of mine, I couldn’t even bear to think of it you know. Mary now attends a local “dementia Café” and activity group a few times a month and for her – learning to live with Alzheimer’s has been possible because of a decision she made to accept what effect the illness was having on her. “I think once you decide ‘yes I have Alzheimer’s, now what am I going to do about it? That is more than half the battle. I then made a decision to tell people, because sometimes you would think that there was almost something dirty about it the way people treat dementia, the reality is it’s something you can’t help.